An intercom is a voice communication system that is used widely at gated houses, communities and different sorts of facilities. Our experts at “Gate Repair Monterey Park” have excellent knowledge of all types of intercoms and for both commercial and residential use as well as for big or smaller buildings. 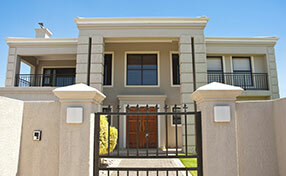 We make sure our customers choose the right Intercom System, communication is easy and security guaranteed. Intercom systems can be connected to other communication devices like telephones. The visitor outside the gate will press the call button, the intercom in the house will ring and the owner will grant access by pressing a button. 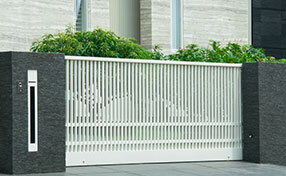 The gate intercom system is able to control the opening and also the closing of the gate, if it has been programmed. Each Intercom System has unique features in order to accommodate the number of people living in a building or the family members of a house. Intercom installation is the specialty of our gate repair company and we can also promise to provide you with exceptional intercom brand names. 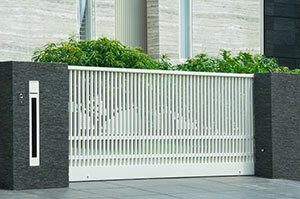 King, Aiphone and Linear intercom systems are fantastic and so are the products by Doorking. Of course, we are experts when it comes to program intercom systems of any brand and can help you decide whether you want two ways communication or just visual contact with your guest. Unlike the traditional wired intercom, wireless installation is much easier since wires do not have to be put between intercoms. The units can also be moved any time without causing inconveniences. That is why the wireless intercom system is the most preferred one. We have very experienced staff that will take care of the installation and so there is no need to worry about the functionality of you intercom system. 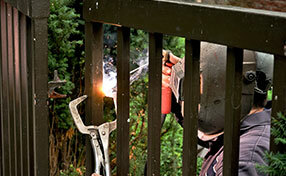 Gate Repair Monterey Park also has great personnel that can take care of all problems and answer all your questions. We are excellent in intercom repair, respond fast and are fully knowledgeable of all intercoms. Why don't you call us today for further information!